From Red Dot: “Is there life around the nearest stars? Is there extra-terrestrial life just outside the solar system? The recent discovery of Proxima b , a habitable Earth-mass planet next to the nearest star, opened a unique opportunity in the search for extra-terrestrial life. It is much easier to study nearby habitats for life, either by remote sensing of the feeble radiation signals from biologically-produced molecules (e.g. oxygen) or by sending spacecrafts that will image the planet’s surface or collect samples from its atmosphere through a close encounter. 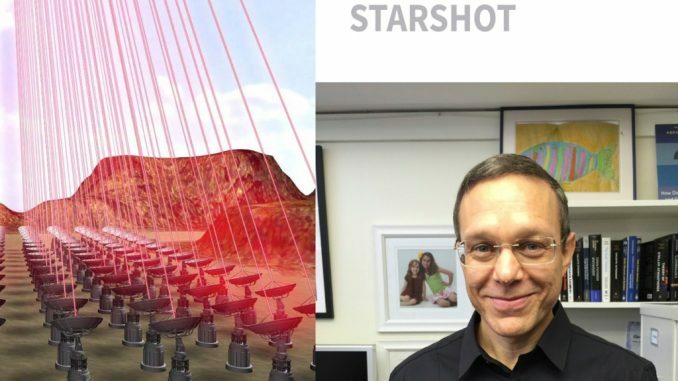 The Breakthrough Starshot initiative, announced in April 2016 (and whose advisory committee I chair) aims to send lightweight (gram scale) probes to the nearest stars at a fifth of the speed of light, so as to inform us of nearby life-hosting environments within our generation. To properly select the Starshot targets, we would like to know which nearby stars host habitable planets like Proxima b. The treasure of data expected from the Red Dots campaign will be invaluable for guiding and motivating the Starshot project. Artistic’s conception showing the Starshot project concept. A laser beam propels a light sail towards a nearby exoplanet such as Proxima b. The sail carries on its center a lightweight probe with several measuring instruments. Starshot will start soon the first five-year phase of technology demonstration at a funding level of $100M, provided by the entrepreneur and physicist Yuri Milner (Credit: Breakthrough Starshot). The chemistry of life as we know it requires liquid water, but being at the right distance from the host star for a comfortable temperature on the planet’s surface, is not a sufficient condition. The planet also needs to have an atmosphere. In the absence of an external atmospheric pressure, the warming of water ice transforms it into directly into gas phase rather than liquid. The warning sign is just next door: Mars has a tenth of the Earth’s mass and lost its atmosphere. Does Proxima b have an atmosphere? If so, the atmosphere and any surface ocean it sustains, will moderate the temperature contrast between its permanent day and night sides. In collaboration with Laura Kreidberg, we showed  that the James Webb Space Telescope, scheduled for launch in October 2018, will be able to distinguish between the temperature contrast expected if Proxima b is bare rock compared to the case where its climate is moderated by an atmosphere. Proxima Centauri is a red dwarf star with 12% of the mass of the Sun. Another dwarf star, TRAPPIST-1, with 8% of the solar mass, was discovered recently , to host 3 habitable planets out of a total of 7 and if life forms in one of the three it will likely spread to the others . Such dwarf stars have a lifetime that is up to a thousand times longer than the Sun. Hence, they provide excellent prospects for life in the distant future, a trillion years from now, long after the Sun will die and turn into an Earth-size cold remnant, known as a white dwarf. I therefore advise my wealthy friends to buy real estate on Proxima b, since its value is likely to go up dramatically in the future. But this also raises an important scientific question: is life most likely to emerge at the present cosmic time near a star like the Sun? By studying the habitability of the Universe throughout cosmic history from the birth of the first stars 30 million years after the Big Bang to the death of the last stars in ten trillion years, I concluded , that unless habitability around low mass stars is suppressed, life is most likely to exist near dwarf stars like Proxima or TRAPPIST-1 ten trillion years from now. This highlights the importance of searching for life around these nearby red dwarf stars, namely the Red Dots campaign. Finding bio-signatures in the atmospheres of transiting Earth-mass planets around such stars will determine whether present-day life is indeed premature or typical from a cosmic perspective. Kreidberg, L. & Loeb, A. “Prospects for Characterising the Atmosphere of Proxima b”, ApJ, 832, L12 (2016). Gillon, M. et al. “Temperate Earth-Sized Planets Transiting a Nearby Ultracool Dwarf Star”, Nature, 533, 221 (2016). Lingam, M., & Loeb, A. “Enhanced Interplanetary Panspermia in the TRAPPIST-1 System”, PNAS, in press (2017); arXiv: 1703.00878. It seems to me that the author should have made mention of the Breakthrough Listen Project, a modest initiative using ground based telescopic assets. When winter weather closed Harvard University one day in 2011, astronomer Avi Loeb used the snow day not to sled or start a new novel but to contemplate the future of the universe. In that future, cosmologists like him, who study the universe’s origins and evolution, might not be able to make a living. Nine years before, he had written a paper outlining the problem: Dark energy makes the universe expand faster and faster every femtosecond. 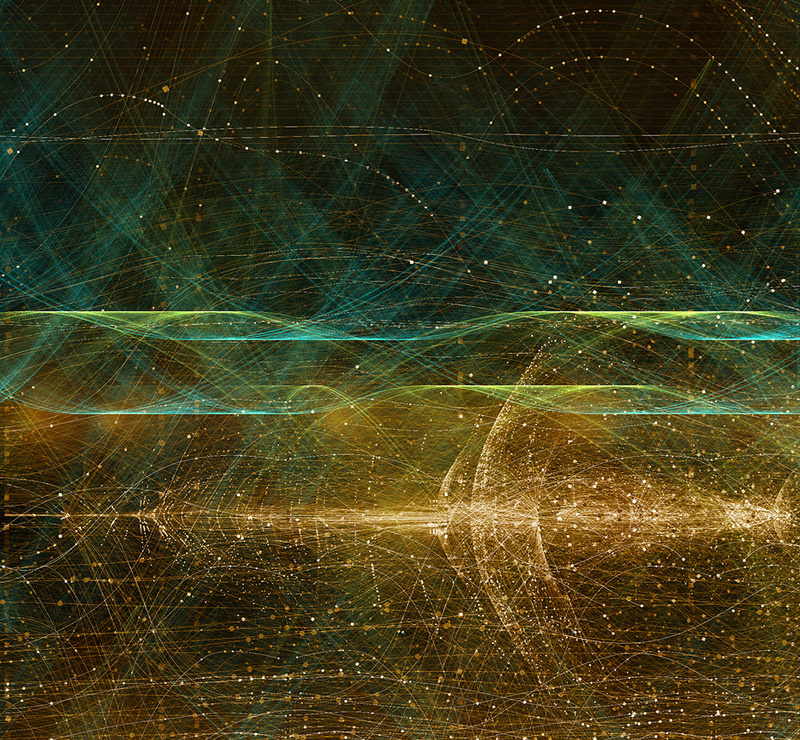 As spacetime—the fabric of the cosmos—stretches, it carries galaxies along with it. The stretching sends each galaxy farther and farther from the others, eventually driving them so far apart that light will never be able to bridge the gap between them. Far future cosmologists won’t have the same evidence as we do to infer the Big Bang. No image credit. In that future, our own oasis, the Milky Way, will be completely alone. When future astronomers look up, they will see only our galaxy’s own stars. They won’t find any evidence—even with the powerful telescopes of a trillion years hence—that other galaxies even exist beyond the horizon of their visible universe. Without a view of those other galaxies, they won’t be able to tell that everything was born in a Big Bang, or that the black vacuum of space is expanding at all, let alone that that expansion is speeding up. Ironically, dark energy itself will destroy evidence of dark energy. He set out to find a solution. Currently, cosmic expansion clues us in to the Big Bang. Press fast-forward on the growing universe we see today, and it continues growing, with objects flying ever-farther apart. It doesn’t take much creativity to then press rewind: The universe shrinks, and its ingredients squish together. If you rewind until the very beginning of the tape, everything piles into one infinitesimally small, infinitely dense spot. Press play and it bursts forth: a Big Bang. Astronomers only discovered that expansion because they could see other galaxies, which all seem to be running away from us. In 1999, using ultra-distant supernova explosions, they figured out that faraway galaxies were retreating faster than they “should” be, and that even more distant galaxies were distancing themselves faster than that. Something—which they later termed dark energy—spurs expansion on, like a car whose pedal never reaches the metal no matter how hard you push. The real problems won’t show up for a while, until about a trillion years after the Big Bang. 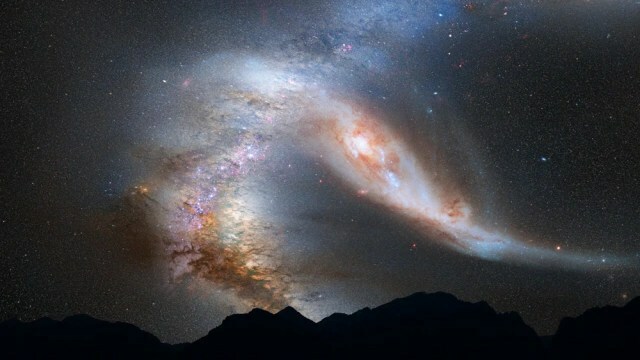 By that time, the Milky Way will have long ago crashed into the Andromeda Galaxy. The stars will have spent 3 billion years swirling into stable orbits, before becoming a seamless chimera: a single galaxy called “Milkomeda,” a term Loeb coined in 2008 when he simulated and then forecasted the collision’s specifics. Even as that galactic collision takes place, dark energy will be dragging everything else away from us. Little by little over billions of years, everything will pop over the visible horizon, along with any physical evidence of its existence, until only our neighbor stars in Milkomeda remain. “The universe becomes lonely,” says Glenn Starkman, a physicist at Case Western Reserve University. 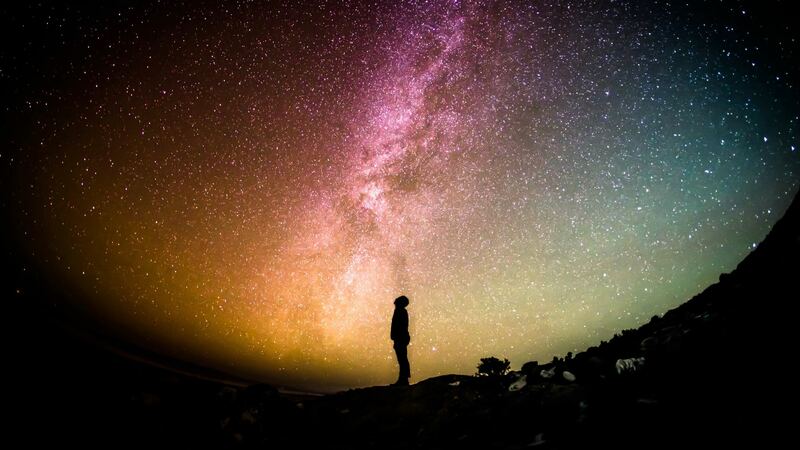 He and astronomer Lawrence Krauss of Arizona State University in Tempe wrote an article titled Life, The Universe, and Nothing: Life and Death in an Ever-Expanding Universe, which also discusses this “lonely astronomer” problem. “The longer you wait, the less you will see and the more of the universe will disappear before your very eyes,” Krauss says. “Earth’s night sky will change,” Loeb says. Stars that humans (or whoever is around) will get to watch in a few billion years will shift radically. Today, the Milky Way appears as a diagonal swash of fuzzy light, the combined photons of billions of stars too small for our eyes to resolve. But when people in the distant future look up at Milkomeda, they will see those stars distributed evenly across the sky. If astronomers still live in Milkomeda at that point, they could be thrown into an astronomical dark age. To them, the universe will look like the one we thought we understood before telescopes. Back then, we thought we were the center of the cosmos, and we believed the Milky Way to be the entirety of the universe. That universe seemed static and without beginning. Alone in Milkomeda, future astronomers may—validly, based on actual evidence—see it that way, too. “Scientists who evolve on such a world will look out and find that the three main pillars of the Big Bang will all be gone,” Krauss says. “It’s a gloomy forecast,” Loeb says. “We won’t be able to look at anything. It’s not just galaxies—it’s any relic left from Big Bang.” Right now, telescopes can see a glow of light left over from the Big Bang. This relic radiation, called the cosmic microwave background [CMB], comes from every direction in the sky. The Planck Telescope recently made a high-definition map of it, which is essentially a blueprint of a baby universe. It shows us the seeds that grew into groups of galaxies, tells us what the universe is made of, and tips us off about the very beginning of everything. But as time passes, the photons that make up cosmic microwave background cool off and lose energy, increasing their wavelengths. Eventually, those waves—which today are on the order of millimeters—will be bigger than the visible universe. There’s no telescope, not even one a trillion-year-old society could build, that can detect that. “They will no longer be able to learn what we know about the early universe,” Starkman says. The composition of the universe, which now tells scientists that the Big Bang occurred, won’t help in the far future, either. After the Big Bang, the universe began to cool off. Soon, free-range quarks settled down into electrons, protons, and neutrons, which could then intertwine into hydrogen atoms. Those atoms then smacked into each other and stuck together, fusing into larger helium atoms. In just 30 minutes, most of the helium that exists today had formed. A comparatively small amount has been created inside stars in the few billion years since. It seems that we live at a somewhat strange time in the universe—one in which our sky is filled with evidence of the cosmic narrative. Does that make us lucky? And does it make future observers unlucky? Astronomers generally shy away from suggestions that we are anything other than dead-average. They call it the Mediocrity Principle. “There will really be nothing,” he thought again. But then a flash swept through his brain. Nothing—except for one thing. “I realized that not everything is lost,” says Loeb. The key is a type of object called a hypervelocity star. “These stars that leave the galaxy will be carried away by the same cosmic acceleration,” Loeb says. Future astronomers can monitor them as they depart. They will see stars leave, become alone in extragalactic space, and begin rushing faster and faster toward nothingness. It would look like magic. But if those future people dig into that strangeness, they will catch a glimpse of the true nature of the universe. 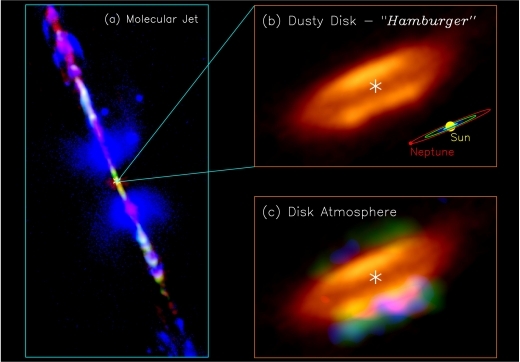 “Just like Edwin Hubble observed galaxies—historically trying to infer expansion—they could observe those stars outside the galaxy and figure out the universe is expanding,” Loeb says. Starkman says they could accomplish this synthetically, too. “They could send out probes far enough to notice that the probes accelerated away,” he says. And then, perhaps, they will imagine pressing fast-forward on this scenario. And, if their imaginations are like ours, they will then think about rewinding it—all the way back to the beginning. Krauss doesn’t necessarily buy this. Occam’s Razor states that the least complicated answer is usually the correct one, and that principle will lead these future beings astray. It sounds crazy that the very fabric of the universe is growing larger faster all the time, carrying some runaway star with it. It’s not the explanation that comes to the tip of the tongue. But perhaps more importantly, with just Milkomeda in the night sky, astronomers will have no reason to come up with a theory of anything beyond those stars. Just as pre-telescope scientists thought only of what they could see with their eyes, not of an invisible universe outside of that, so too could future astronomers’ imaginations be constrained.